These doors come complete with reinforced hinge panels and the recess for the handle. Unlike many fibreglass doors on offer, we have also reinforced the hoop for further strength and durability. Whilst we do not supply these doors with windows (see streetwise doors below for windows), we recommend that you fit perspex as they are not designed for glass/winding windows. The doors do not come with the door shut mechanism. However, this can be supplied for a further £30 (see our shop) where we would require your old door mechanism on an exchange basis. 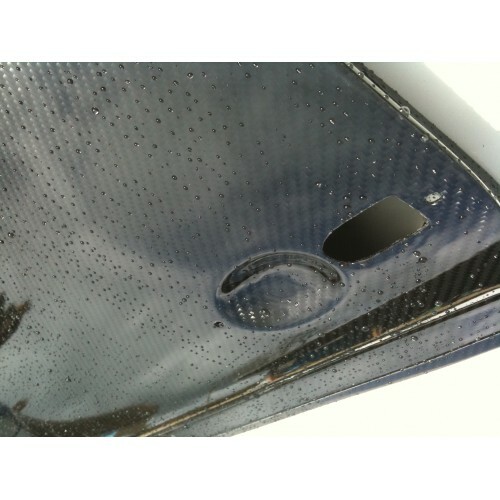 The doors have the mounting points marked into the gelcoat for your convewnience. Meaning you can easily locate the positions of the hinges and locks etc. They mount using the original hinges, or can mount using mk1 hinges if you preffer the mk1 look. Based on the last 6 years that we have been offering our composite Mk3 doors, we have had loads of positive feedback, ''the doors are so much tougher than the last set of fibreglass doors I bought'' They are lightweight, yet still work on a road car, ''They fit brilliantly, and the internal locking device is a much simpler way of opening the door from the inside''. After two years of development, talks with other manufacturers/suppliers, we have come up with a solution: Our Streetwise Doors. We have incorporated extruded aluminium channels in the door hoops, which allow sliding windows to be fitted. After talks with a polycarbonate window manufacturing company, we now have bespoke windows, specially for these doors. The doors come complete with Lexan polycarbonate windows, seals, and a latch that can only be opened from the inside, to make the doors secure and safe. The doors have been intentionally designed so the windows don't contact each other, this prevents the horizontal scratches you often see when the panes have been dragged past each other. The mechanism to open the window is simple, A small sprung latch is pulled which allows the window panes to slide freely. Both panes can move independently, and are both locked in place with a single latch when closed. We looked in detail about the possibility of wind up windows. The main issue being that of weight and complexity. One of the main reasons to fit composite doors is for weight saving, the heavy window mechanism is too cumbersome for the lightweight doors and defeats the point of weight saving. Furthermore, a lot of the strength of Arc Angels doors is due to the closed panel design. The fact that the inner and outer skins join right the way around the door gives massive strength benefits. With the top of the door open (allowing a window to go up and down) the hoop becomes flexible and does not maintain its shape at higher speeds. The sliding two piece windows give the same results as wind up windows, but you can maintain a clean simple finish to the inside of the doors due to no window winder being present. PLEASE BE AWARE: DUE TO HIGH DEMAND WE CURRENTLY HAVE A 12 - 14 WEEK WAIT FOR THE STREETWISE OPTION DOORS. This internal door release lever modification is specially designed by The Arc Angels. 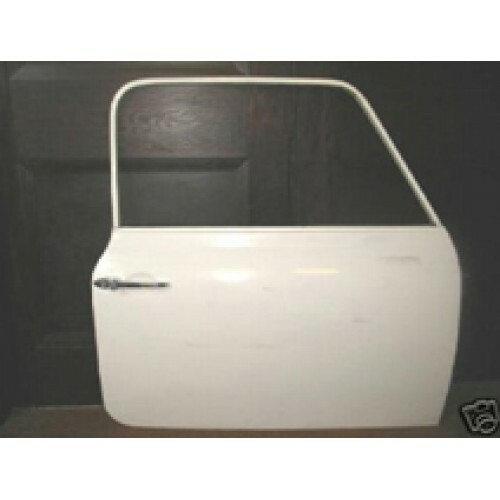 We h..
A pair of doors especially made for use on certain mini based kit cars. Also, if you are sh..
White Door targets 20" diameter with your choice of numbers (up to three per target) in bold blac..